While many predicted the digital revolution would sign the death note of ‘face to face’ tech conferences and trade summits, a quick look at the current events market paints a very different picture. According to the U.S. Bureau of Labor Statistics, by 2020 conventions and events will have ballooned by 44 percent since the start of this decade. Put simply, the conference industry is booming, and if anything, this growth is being driven by the new digital landscape making it easier for up and coming events to attract speakers and attendees from all over the world. 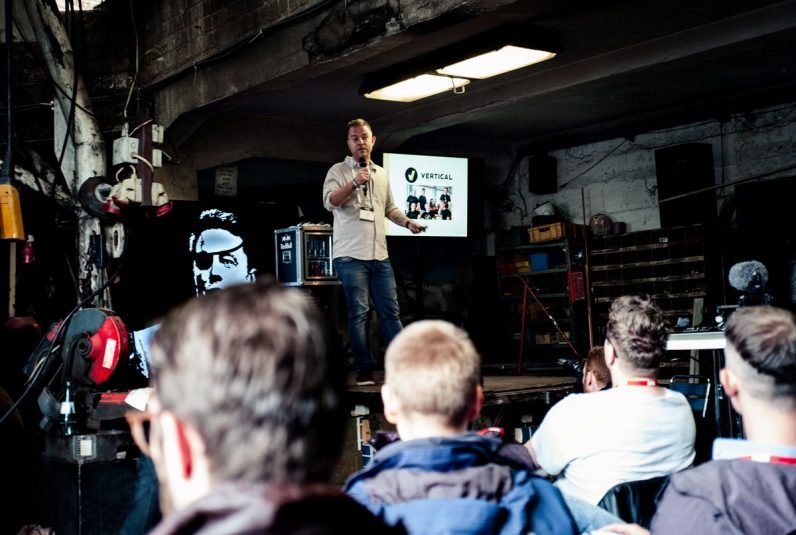 From Atech in Aruba to TechChill in Riga, Latvia, international tech events are popping up well off the beaten track and attracting thousands of attendees far from the traditional tech hubs of Silicon Valley, London and Berlin. One of the first challenges when launching a new conference or event, is choosing the right location. Ten years ago, most leading conferences were based in established tech hubs, or large metropolitan cities in the US or Europe. Nowadays, a quick browse on events platforms like Eventbrite reveals hundreds of events every month in tech hubs like San Francisco, New York and Berlin. From a PR perspective, it can make it hard to stand out from the crowd and fill seats — even when providing great speakers, content and activities. As such, many event organizers are choosing to launch their events, in smaller, up-and-coming locations. This is especially true in Europe, where in in 2016 alone, more than 153 European cities were home to more than 50 meetups or events. However, while it is great to motivate players from the local ecosystem to participate in and attend events, filling capacities, boosting brand reputation and maximizing the chance of your conference becoming a repeatable success requires attracting attendees from other countries too. Marija Rucevska, CEO of Latvian conference TechChill, thinks one contributor to the festival’s continued success is the fact that unlike in some neighboring countries, Riga is home to an international airport, making it easy for attendees to reach the destination in just a few hours from Moscow, London, Berlin, or neighboring Scandinavia or Central and Eastern Europe. However, this is not always the case. Andres Fontao, organizer of FINNOSUMMIT, told me that after trying ‘off the beaten track’ locations in Mexico and Colombia, events struggled to attract sufficient speakers and attendees from the US and Europe due to the distances involved in travel and possible concerns about safety. As such, the organizers decided to hold the next event in Miami, the US gateway to Latin America, and home to one of the busiest international airports in the country. One tip is to look for locations which have lots of direct connections from neighbouring countries, as seen in the examples of Latvia and Miami, but not so much in Bogota, or Monteria. However, it is also important to consider the VISA situation in your chosen location. If you are wanting to attract a mix of attendees from the US and Latin America, you should consider the fact that foreigners have to apply for a VISA to enter the US for any period of time. Whereas other locations, such as Panama, are easy and affordable to fly to from both the US and Latin America, and don’t require a visa for short stays. While the idea of sipping a piña colada on the beach in between networking events and presentations might be attractive, it is important to be realistic about the reliability of local service providers and logistics when choosing a location. Events which are badly organized logistically can turn into PR disasters. Fyre Festival made headlines across the world last year after attendees paid upwards of $1000 dollars to attend a ‘VIP music event’ co-founded by rapper Ja Rule in the tropical Bahamas, only to arrive to find that the festival did not have appropriate accommodation, catering, or stages set up. In the modern age of social media, disgruntled attendees can quickly ‘air your dirty washing’ to millions of others around the world and ruin your event’s brand reputation if too many small things going wrong. Or in the case of the Fyre festival, if everything possible goes wrong. And with so much competition in the events space, you only have one shot to get it right. There is much to be done behind the scenes before, during and after a conference. An event requires sound and lighting, design and visuals, catering, PR and marketing, security, and English speaking customer service teams to name a few. When organizing a large scale event, it is best to hire trusted teams based on recommendations — even if this means flying them out there to do the job — or finding local teams with a lot of experience and multiple glowing references from previous happy customers. One benefit of using local teams is that they are more likely to be able to negotiate local rules and regulations. Never underestimate the red tape involved in setting up a large scale event, as the chances are that you will need permits and authorization from local authorities. Local organizers are more likely to have the connections to facilitate these processes much quicker and easier than someone from another country, and are also more likely to have reliable networks of local service providers to get the job done right, for a better price. With so many events taking place nowadays, startups have to be picky about which ones to attend. As such, aside from having a great location and streamlined professional organization, your event needs to be hand-tailored to offer the most value possible to attendees. This is especially important if your event is located outside of a main hub. However, while it is great to have a couple of big name keynote speakers, this alone may not be enough to fill seats. Startups have to deal with a huge range of issues when scaling a company, so it is important to invite speakers from a range of backgrounds such as other CEOs, investors, media experts and journalists and PR and marketing professionals too. Another good idea is to offer a media room where attendees can rub shoulders with journalists from leading publications. While it is important to ensure that content is of the highest calibre and relevant to an international audience, it is equally as important to offer other social and networking events too which allow people to make connections. This often means creating side events such as social gatherings before and after the conference, which allow attendees to mingle with other entrepreneurs from the local area and chat in a more relaxed setting outside of the rigorous timetable of the event. After-parties offer a chance for people to make real connections, rather than just quickly firing out business cards in crowded rooms between presentations and workshops. Seth Godin argues in Tribes that the internet is bringing groups of enthusiasts closer together and forming more tight knit communities, which offers opportunity to event organizers to cater to niche audiences all over the world. However, while successfully organized and promoted events offer the opportunity to grow steadily in size, reputation and profitability year over year, due to the ever expanding amount of competition out there, it is important to plan strategically — or risk coming out at a (big) loss. Just ask Ja Rule.